BOULDER, Colo., June 7, 2017 /PRNewswire/ -- ION Engineering, a leading carbon capture technology company based in Boulder, Colorado, announced today that it has successfully completed a six-month demonstration of its carbon capture system at the CO2 Technology Center Mongstad (TCM) in Norway. During the TCM campaign, ION conducted over 150 individual experiments, testing its system on residue fluid catalytic cracker (RFCC) gas from Statoil's refinery, which closely resembles the CO2 concentration of the flue gas produced in coal-fired power plants. It also tested on flue gas from TCM's combined heat and power (CHP) plant, which is fueled by natural gas. To date, ION is the only U.S. company to have successfully tested its capture technology on RFCC gas at TCM. ION's proprietary Advanced Liquid Absorbent System (ALAS) is comprised of a liquid absorbent, process technology, and the company's newest analytical technology, a Multicomponent Liquid Analyzer, (MLA), which is capabale of near-real-time compositional analysis of the liquid absorbent. ION's ALAS campaign successfully captured over 90% of the CO2 during steady-state testing from both the refinery and natural gas-fired flue gases with CO2 product purity of greater than 99%. ION's ALAS consistently exceeded expectations from its predictive modeling. On the CHP flue gas, the ALAS required significantly less energy when compared with the industry-standard 30% MEA solvent previously tested at TCM—and with minimal solvent loss and emissions. ION also conducted the first successful field tests of two of its MLA devices and validated their performance when compared to traditional wet laboratory analyses. By the end of the campaign, ION had captured over 14,000 tonnes of CO2, the equivalent of removing nearly 3,000 vehicles from the road. ION's successful technology demonstration puts the company in a leading position for broad scale deployment of carbon capture technologies on a global basis. According to ION's CTO, Dr. Erik Meuleman, "The TCM campaign has proven that ION's Advanced Liquid Absorption System is capable of successfully capturing over 90% of CO2 from refinery flue gas and natural gas, with low emissions and energy requirements." Meuleman also praised the first successful tests of the company's MLA: "Our technical team installed, tested, and verified the operation of our breakthrough MLAs. The analyzers are a total game changer, providing near real-time composition analysis of the liquid absorbent, which streamlines the operation of the entire plant and reduces operating costs." The International Energy Agency (IEA) has conclusively determined that there are no other practical alternatives to the use of carbon capture technology to achieve deep decarbonization and the requisite CO2 reductions under the international Paris Agreement. After six successful months of testing its capture system, ION's CEO Dr. Buz Brown concluded that "TCM has proven to be an excellent facility operated by very experienced engineers, providing an endless pool of invaluable data. The collaboration was simply fantastic. We now feel extremely comfortable designing and building commercial CO2 capture plants utilizing our Advanced Liquid Absorption System." Funding for ION's multi-phase project, over $25 million in total, was provided by the US Dept. of Energy's NETL, with significant in-kind contributions from TCM. The first phase of the project was conducted at the National Carbon Capture Center in Wilsonville, Alabama, where ION successfully demonstrated its capture system on coal-fired flue gas. ION Engineering is a leading developer of carbon dioxide (CO2) capture technology that reduces overall costs and makes CO2 capture a more viable option for greenhouse gas mitigation. 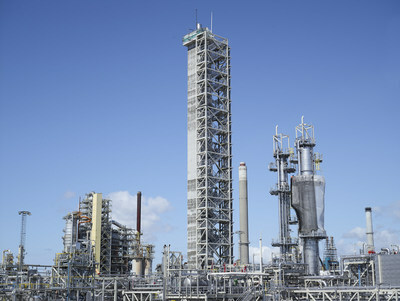 ION is currently commercializing its Advanced Liquid Absorbent System and enabling technologies for use by large point sources including natural gas and coal-fired power plants, and other industrial sources using a process that is safer and more efficient than current commercial options, while significantly reducing capital and operating costs. ION's most recent campaign at TCM demonstrates the viability of its capture system at a large-scale facility, and reinforces the system's readiness for industrial-scale deployment. The collaborative project between TCM and ION is a continuation of a multi-year Cooperative Funding Agreement with the U.S. Department of Energy's NETL. In light of its successful testing at Technology Centre Mongstad, ION currently targets commercial demonstration of its technology starting in late-2017.